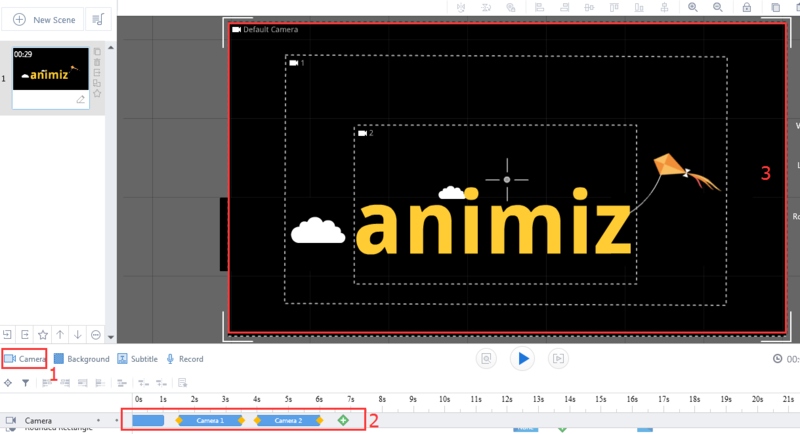 Add cameras to the project to make the animation zooming, rotating, and moving, which gives audiences amazing visual enjoyment. It is quite easy to add a camera in Animiz. Click "+" to add a camera. You can adjust the size, rotation angle, and duration of the camera. Click "+" to add cameras which are similar in size and angle. The cameras should be mutually parallel. Adjust the duration of the cameras. 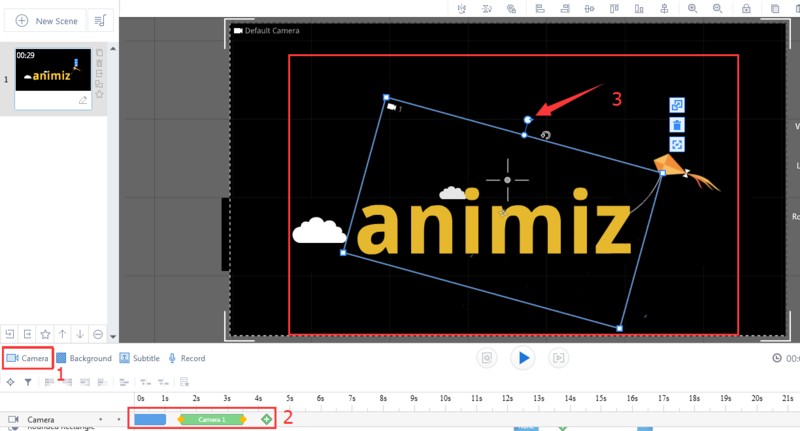 Click "+"to add cameras and adjust the size, rotation angle, and duration. Click "+" to add two cameras. One of the sizes is large while the other is small, by which create the zooming effects. Adjust the duration of the cameras. Previous：How to adjust scene duration ? 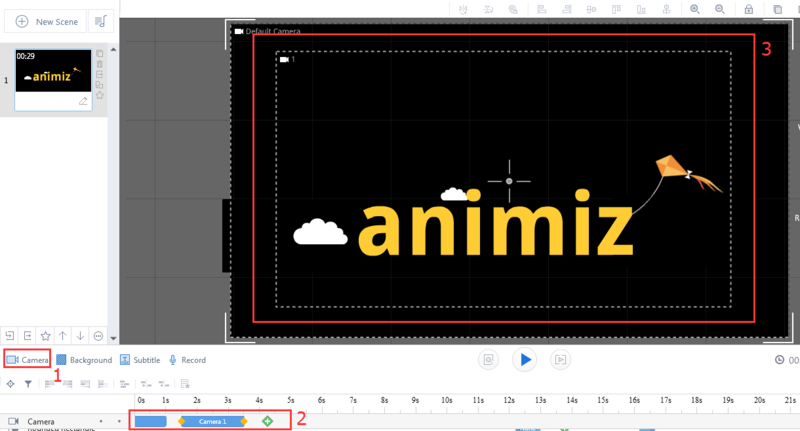 Next：How to add scene background ?